A short, popular biography of the Saint who reformed Carmel and gave a host of Saints to the Church. 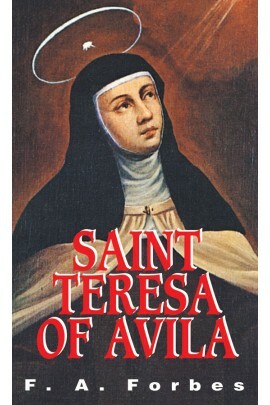 Strong-willed as a child, she channeled that determination into becoming holy and became as a result one of the most famous Saints of the Church. She helped bring back the original strict observance of the Carmelite rule, founded numerous new convents, became a celebrated mystic, and was canonized only 40 years after her death. In 1970 she was declared a Doctor of the Church. Here is a popular biography for young and old of this spirited and colorful Saint.